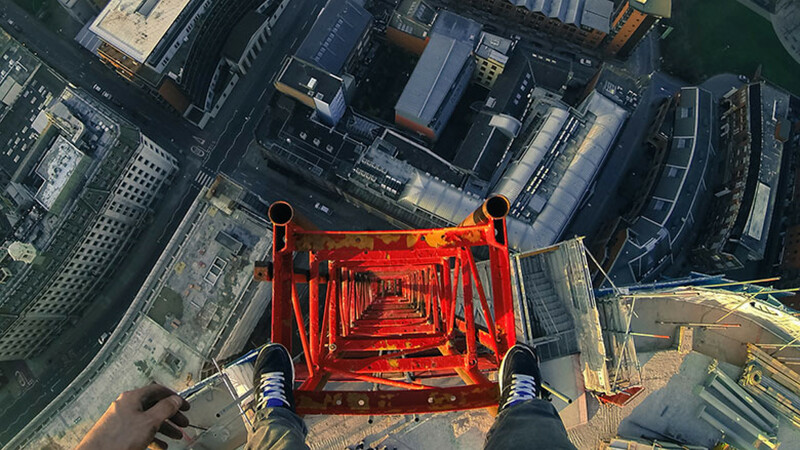 Vertigo sufferers, look away now. 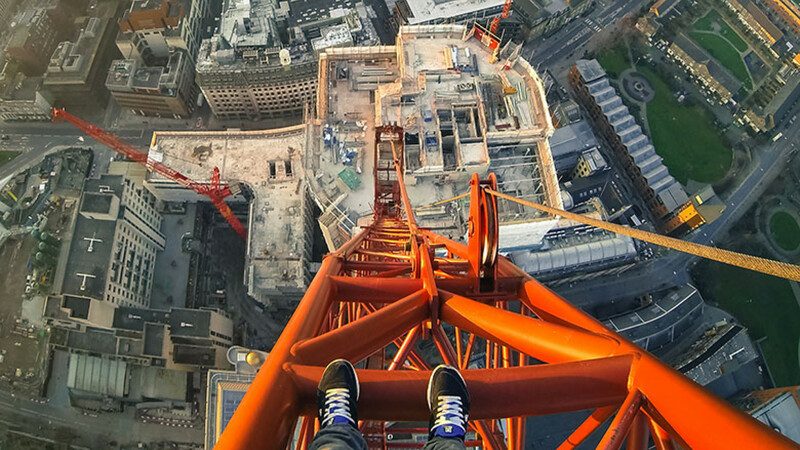 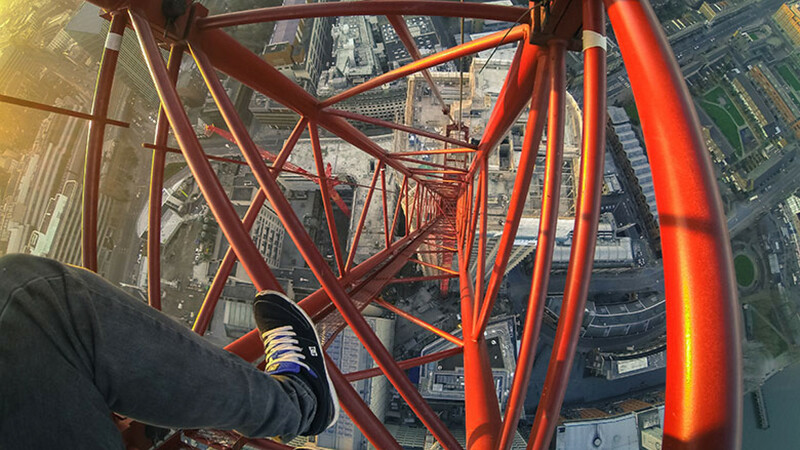 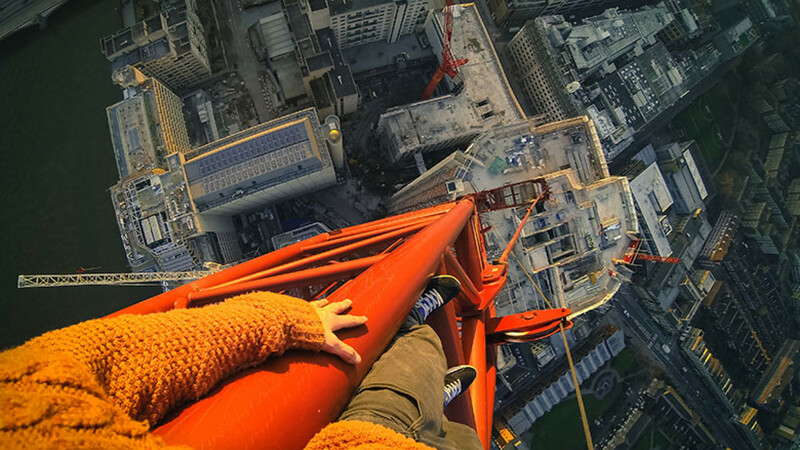 The images above show professional free runner James Kingston at the top of the Southbank Tower in central London, breaking into the building site to climb up the 155m-tall tower. 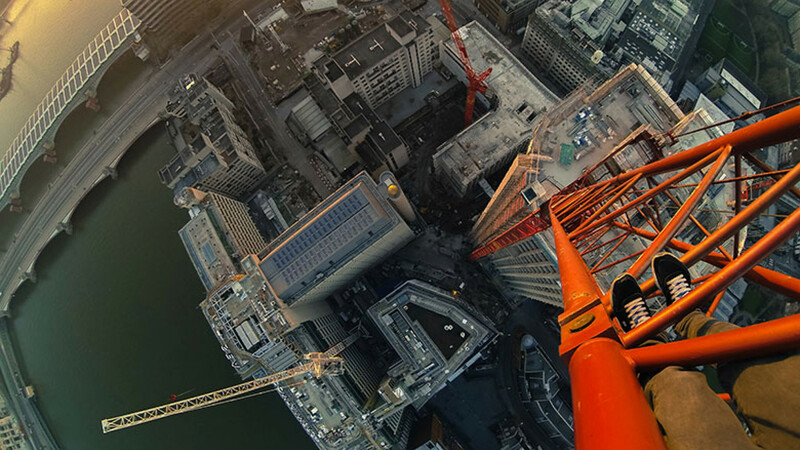 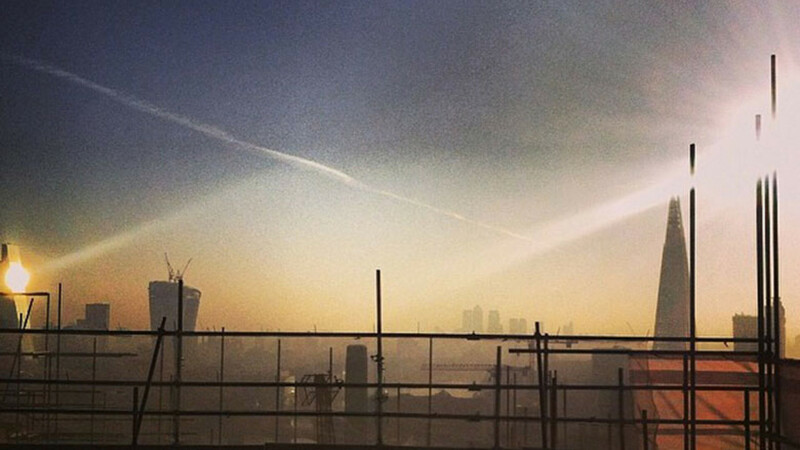 He didn't just catch the sunrise though, instead leaping between buildings in the construction site, and hanging off a nearby crane with just one hand – his signature move. 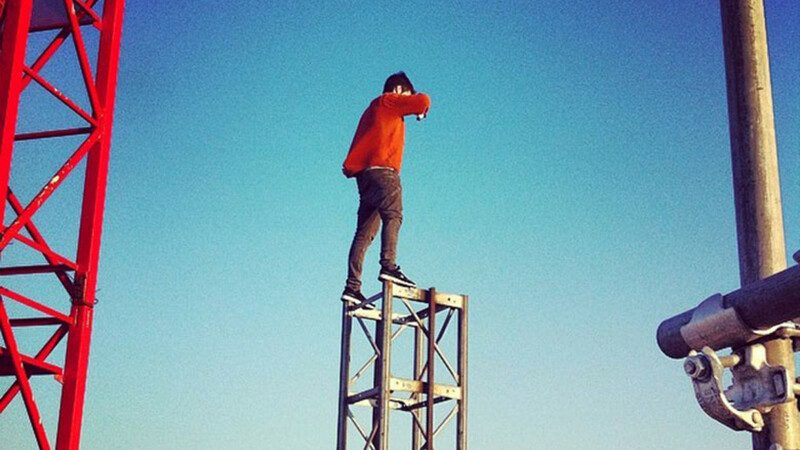 Kingston isn't afraid of heights, it appears. 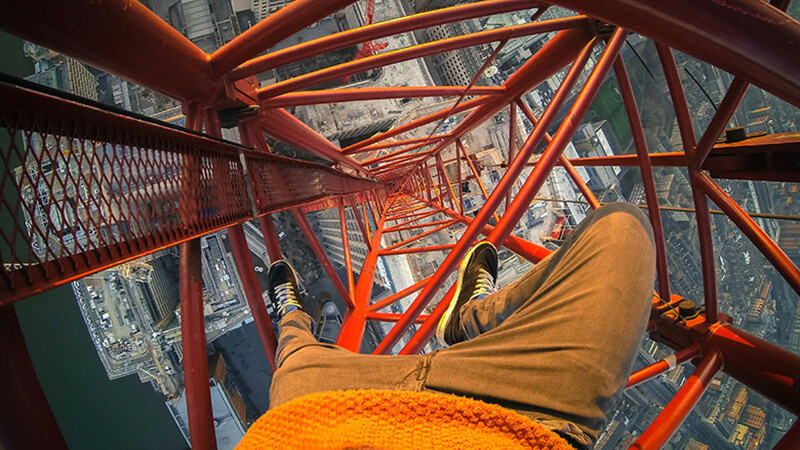 Last year, he was arrested after performing a backflip on Ukraine's tallest bridge without any safety gear.